The communal riot in Muzaffarnagar that resulted in at least 40 deaths and displacement of thousands of Hindus and Muslims may finally erode the strong Muslim support for Samajwadi Party (SP) in Uttar Pradesh. The absolute failure of the administration in controlling the violence despite being aware of the repeated incidents of provocation in the region, have upset the Muslims. The figure of deaths is expected to go up as lot of persons are still missing. Further, the belief that the era of 'major riots' had ended and there won't be communal violence of large-scale after Gujarat riot, has been shattered. 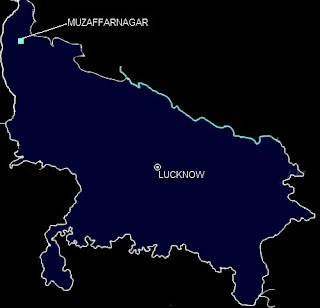 The extent of the Muzaffarnagar riot is not different from the last year's horrific Assam riots or the anti-Christian violence that had occurred a couple of years back in South India. Muslims suffered heavily in major riots in UP-Bihar till the decade of 90s. It was during Lalu Prasad Yadav's rule in Bihar and Mulayam Singh's stint in UP that riots stopped. No wonder, Muslims began preferring them over Congress. People talk about 'firing over kar sewaks' as an example but that's not entirely the reason. It was often recalled how Mulayam Singh Yadav as Chief Minister had immediately transferred top officials of the district as soon as a riot began, and sent new officials by helicopter. Thus, Muslims' support for SP has lasted well over two decades. In this period, opinion polls mostly [except on the last occasion] proved wrong, as Muslim voted heavily for SP in both Parliamentary election as well as Assembly polls. But this almost blind support may be ending now. For years there were rurmours floated about SP's links with right-wing leaders. Vast majority of Muslims thought it was an attempt to discredit the party and kept their faith in SP. 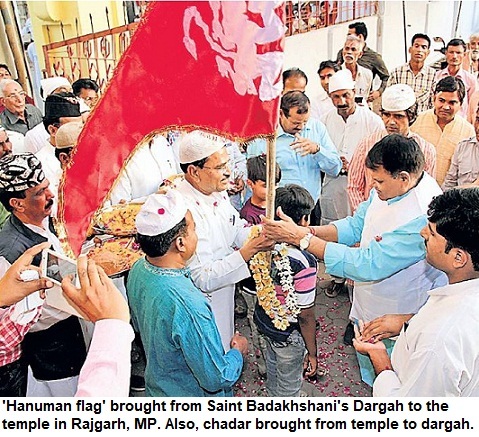 Often, we heard of tacit support by SP to communal elements. But Muslim electorate in Uttar Pradesh (UP) repeatedly banked upon him. Either it was Sakshi Maharaj's entry in politics or Kalyan Singh joining the SP, Muslims kept their trust in Mulayam Singh. However, the Muslim perception about SP has changed now for the first time in 20 years. Ever since SP government took charge, there have been several communal incidents in UP. People can't forget the violence in Kosi Kalan or the firing in Ghaziabad when six persons belonging to minority community were killed. Umpteen such cases occurred lately. 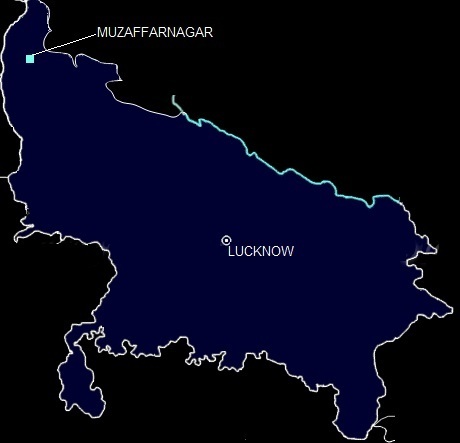 But the violence in Muzaffarnagar, a City that never saw such a deep religious polarisation, has come as a major shock and has led to nationwide churning. No stern action was taken to check the riot in the initial phase. The administration was not tough on both Hindu and Muslim communal elements. The Mahapanchayat was allowed to take place despite the fact that Section 144 was enforced. Swords were openly wielded but no action was taken. This was condemnable and showed the weakness of the local authorities. When participants returning from the Panchayat were attacked, it was also a condemnable act, but again no strong action was taken.Even in the aftermath of the riot, the administration remains indifferent. Why not arrest BSP, SP, Congress, BJP leaders who delivered hate speeches? The BSP, SP, Congress and BJP leaders had indulged in hate speeches. All of them irrespective of their political and religious affiliations should have been booked and sent to jails. Nothing of that sort happened for days. We are still awaiting action. Just registration of cases serves no purpose.Those who circulated fake videos, morphed photos or inflammatory material, are yet to be arrested. People replaced general headlines with provocative ones and floated these newspaper 'cuttings' on social networking sites. It was under the nose of SP leaders that everything was planned to ensure that Varun Gandhi got away in the hate speech case, but for a sting operation. Under BSP rule, there was no major riot in UP. Mayawati wasn't charitable to bureaucrats in this regard. She was feared by the babudom. Samajwadi Party may try to pass off this riot as an 'aberration' or 'other parties' conspiracy' to turn UP into Gujarat, but the truth is that it failed miserably in controlling the riot. Now Muslims rue the decision to support SP. What about Akhilesh Yadav's promises? From reservation in jobs for Muslims which was unbelievable from the day announcement was made in this regard to promise regarding opening Urdu medium schools and colleges in UP, nothing has materialised. The frustration is visible even amongst SP's Muslim cadre when the party leaders said that 'we don't want laptop, we first want security' is understandable. After 1992, UP was mostly free from religious conflicts. As a result, like other communities Muslims have also prospered compared to previous decades. In the last few days, many friends who called me for different reasons, during conversation, also spoke about the riot. All of them seemed disgusted with the handling of the communal riot. The writing on the wall is clear. In Western UP, Ajit Singh's Rashtriya Lok Dal (RLD) had been losing its vote share. But now it could be back in the reckoning. After all, nobody wants riots. SP regime has ample time before next Assembly elections. But the Lok Sabha elections are round the corner. Even otherwise, the party seems to have lost the trust of Muslims largely.